Photo editing software seems to be getting more and more complicated these days, and sadly, that scares away lots of people who want to use it. 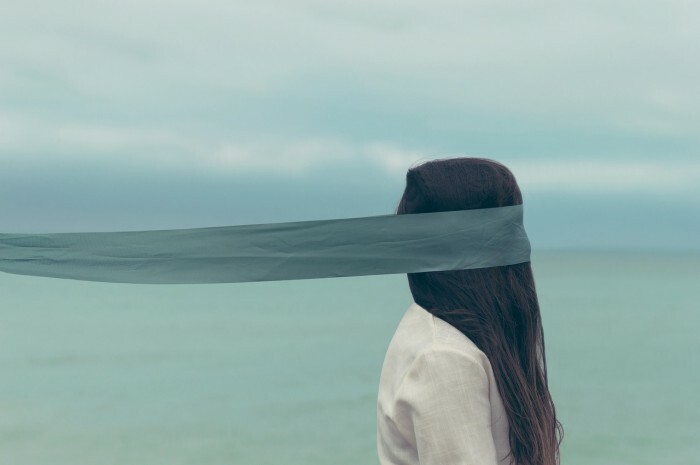 I’ve found that understanding the principles and reasoning behind editing tools is tremendously helpful when you’re trying to learn a new software program, and that’s what I’m hoping to accomplish with today’s blog! There are really only a handful of editing tools that you need to get started in Photoshop, and to make a beautiful image. And of the basic components of an image, like composition, shutter speed, and aperture, exposure is a key player in how your photo will turn out. The amount of light and the tonalities present in your image can be viewed and manipulated with the Levels tool, but first you should understand something called a histogram. A histogram is basically a visual representation of your image’s exposure and the various tonalities of light that are present. It is arguably one of the most important visual keys when working in digital photography, and can really help you improve your photography and editing skills. Essentially, when you snap a digital image, you are capturing and translating beams of light energy in red, blue, and green, and each of these three channels has a brightness value. The histogram graphs out the brightness values (on a scale from 0 to 255) and displays a quantitative rendering of all that are present in the image as it was shot. From one end of the scale to the other, this is where you get terms like shadows, midtones, and highlights. Along the x axis (horizontal), the first third is the shadows, the middle third is the midtones, and the last third, on the righthand side, is the highlights. Along the y axis is the amount of pixels that your computer is counting. For the purposes of this tutorial, we will be using stock imagery, and we will be working only in the (combined) RGB channel. 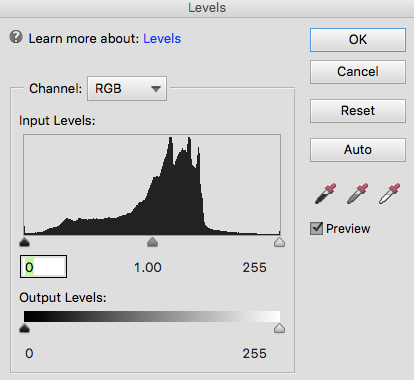 You can pull up the histogram with the Levels tool (command+L on Mac). Here is an example of an image that does not have a lot of bright highlights nor dark shadows. Hence, the histogram has peaks in the midtone range. This tells you that the brightness of your image is relatively similar throughout, and the color tones are also similar. Now, this particular image does have some contrast, thanks to the person’s darker hair, and lighter shirt, which spreads out the histogram ever so slightly. However, there are no extreme light or dark areas, so the far left and right ends of the histogram aren’t registering any values. Let’s compare that to another image, which has a completely different histogram. As you can see, this photo has both bright highlights and dark shadows, so the histogram would be considered “bi-modal”, meaning it has two peaks on either extreme end, and a marked dip in the middle, where the midtones are. You can see that the bright areas come from the sky and clouds, as well as their reflections on the water, and the shadows occur on the hillside and in the canoe. These extremes take up most of the image, so your histogram won’t have much going on in the middle. Many images will have a histogram that contains a large hump in the middle, because in most lighting conditions and everyday environments don’t have extreme bright or dark spots. Also, keep in mind that if you shoot in Auto mode with your digital camera, you will see this midtone-heavy effect as well. Your camera is “trained” to avoid ultra-high contrast results, so it will automatically adjust the exposure to bring the tonalities towards the middle. So, if you really want to learn and play with histograms, always shoot in Manual mode! Really, only the very casual beginner should ever be shooting in Auto anyway, but if you’re not comfortable shooting in Manual yet, I’d highly recommend checking out one of our digital photography courses! The more examples you can look at when it comes to histograms, the better. When you play with enough of them, you will start to “see” these graphs when you are shooting, long before you ever upload your files to your computer. Understanding histograms can positively influence how you make pictures and can train your eye to see tonal range like a pro. So here are two more examples for you: the first is an image with a lot of highlight (sometimes called a high-key image), which has a histogram pattern heavy on the right, and the second is an image with mostly shadow (sometimes called a low-key image), which has a histogram that leans heavily to the left. I encourage you to pop over to your Photoshop program and start pulling up images and their histograms. And next time, we will go over how to manipulate these values using the Levels tool, which will only further your understanding of light, exposure, and tonality! And if you want to shore up your digital photography knowledge, get in touch about our classes! Fill out the form below to request more information about Decoding Your Photo's Histogram or to request information on customized individual or group training sessions.